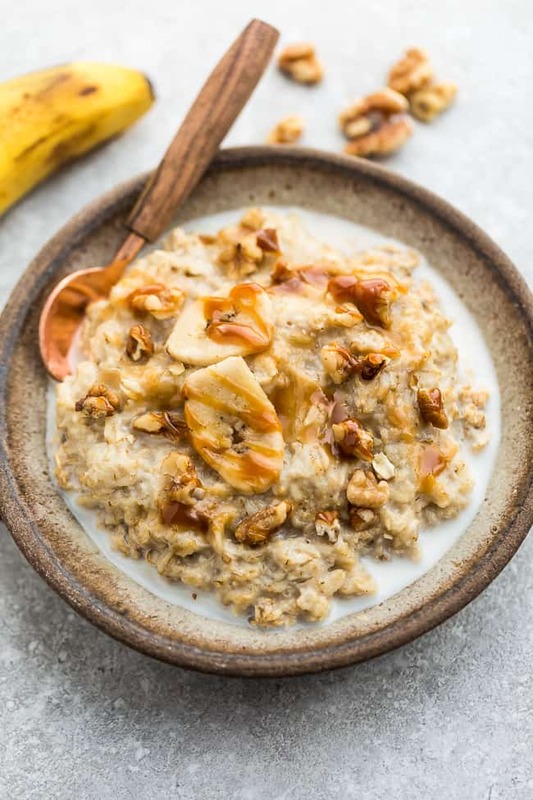 This healthy banana oatmeal recipe is a healthier way to enjoy banana bread with gluten free rolled oats, cinnamon and walnuts. Quick and easy to make for the perfect easy and comforting breakfast for busy mornings. This banana bread oatmeal is quick and easy to make and hearty enough to keep you full until lunch. 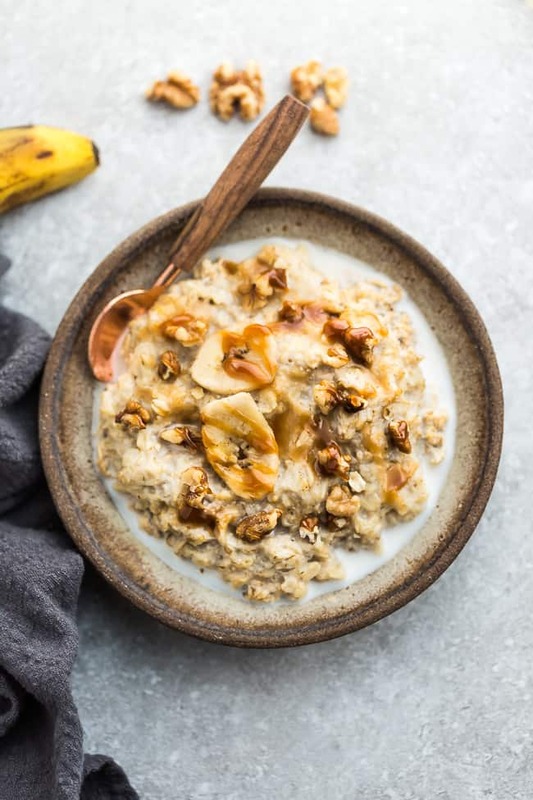 All you need is an extra ripe banana, rolled oats, cinnamon and almond milk for a deliciously creamy bowl of oats that is so much healthier than banana bread. Plus it’s a simple way to step up your usual plain bowl of oats. Oatmeal is a staple for breakfast for my kids. They love starting their mornings almost every day with a hearty bowl of oats so you can bet that we make A LOT of oatmeal. 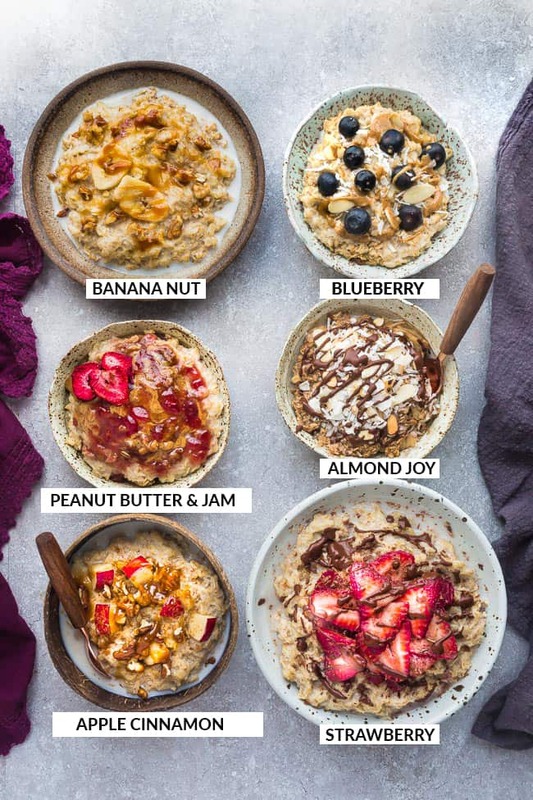 In the summer time, we make classic overnight oats and then come winter when it’s the back-to-school madness, it’s a toss-up between baked oatmeal cups, steel cut oats in the Instant Pot (seriously the best for crazy school mornings) or a comforting bowl of classic oatmeal made with old-fashioned rolled oats. Did you know that a bowl of homemade oatmeal is high in dietary fiber and packed with protein? Using certified gluten free oats and dairy free milk makes it a healthy and nutritious gluten free and vegan breakfast option. There is nothing quite like waking up to a warm bowl of oatmeal on a cold morning. My kids always prefer a hot breakfast over a bowl of cold cereal during the winter. 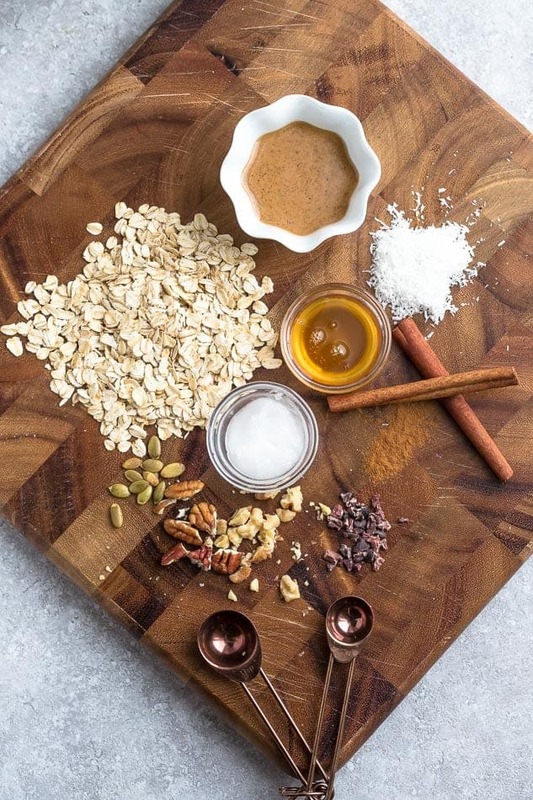 Plus, you can’t beat how simple oatmeal is to customize. You can choose to serve it plain with a splash of milk or dress it up with your favorite toppings. 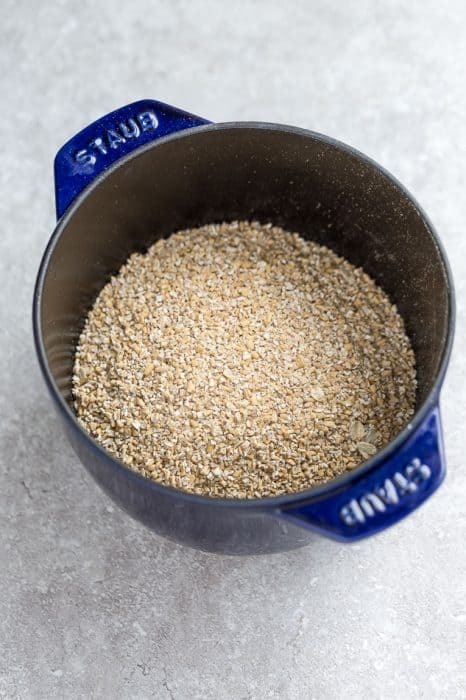 So what is the difference between steel cut oats and rolled oats? Are steel cut oats healthier than rolled oats? 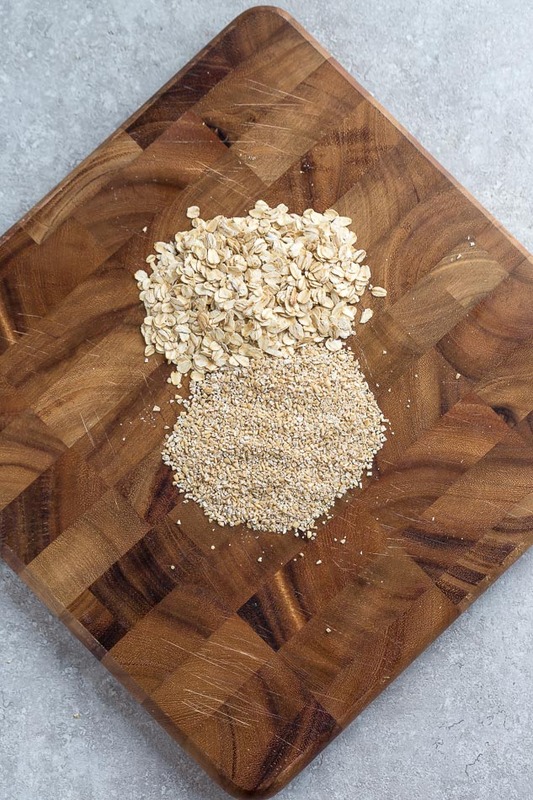 All oats start off as oat groats — the whole, unbroken grains so steel-cut and rolled oats actually have the same nutritional profile since they’re all made from whole oat groats. OPTIONAL TOPPINGS: drizzle of almond butter, date caramel, cocao nibs, sweetener, chocolate chips coconut etc. You simply combine everything to a medium pot over medium high heat. Bring to a boil, then reduce heat to low and a gentle simmer. Do not leave unattended. Mash in the banana and continue cooking and simmering until thickened and desired creaminess, about 15 to 20 minutes, stirring occasionally and scraping the bottom of the pan to. Remove from heat. Stir in the cinnamon and sweetener if desired. I find that there is no need for additional sweetener as the ripe banana is sweet enough but feel free to adjust to your likeness. Divide into bowls and enjoy as it or top with banana slices, walnuts, almond butter or any other toppings you like. Yes. Oats are naturally gluten-free, but they can sometimes be processed in a facility where wheat products are also processed so there can be cross-contamination. If you are sensitive to gluten, it’s important to check your labels and choose a brand that is certified gluten free. 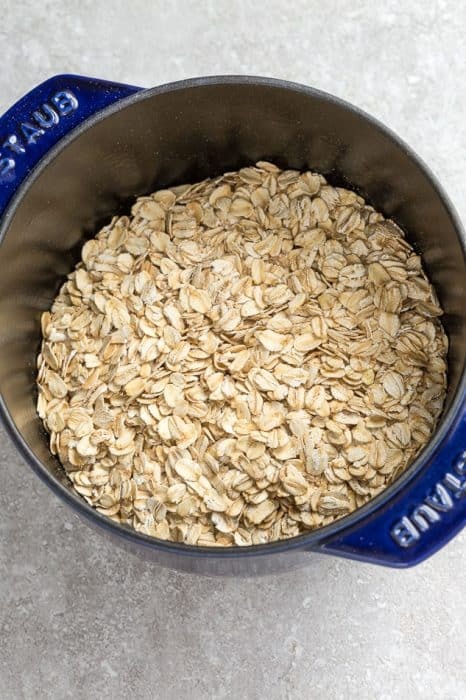 CAN I MAKE OATMEAL IN THE INSTANT POT? Yes, absolutely! Making oatmeal in the Instant Pot is actually one of my favorite ways. You can use steel cut oats or old-fashioned rolled oats. Please NOTE that the Instant Pot instructions will NOT work for Instant Oats or quick oats so it’s important that you buy the correct type of oats. 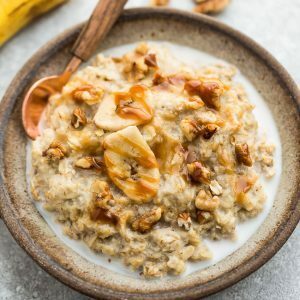 This banana oatmeal recipe is made with mashed bananas, gluten free rolled oats, cinnamon and walnuts. Quick and easy to make for the perfect easy and comforting breakfast for busy mornings. 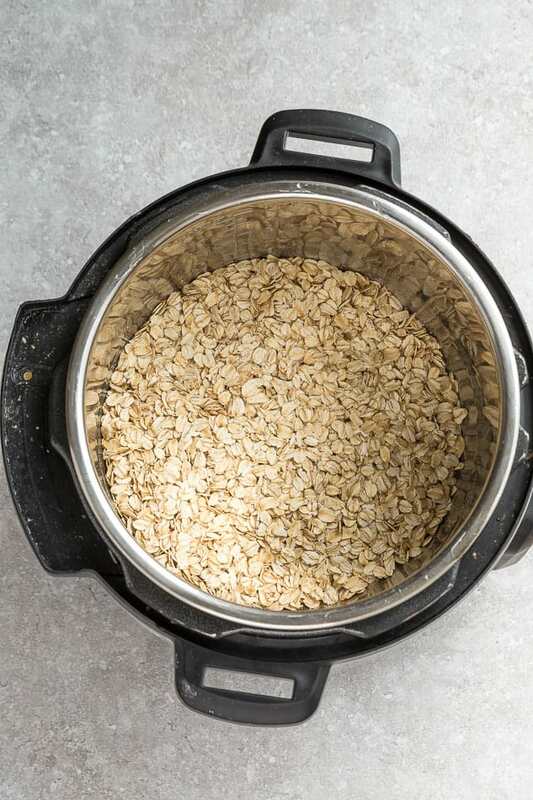 Combine oats and milk in a medium pot over medium high heat. Bring to a boil, then reduce heat to low and a gentle simmer. Do not leave unattended. Add in the mashed banana and continue simmering until thickened and desired creaminess, about 15 to 20 minutes, stirring occasionally and scraping along the bottom of the pan to prevent sticking. Remove from heat. Stir in cinnamon and sweetener if using. Divide into bowls and top each with more banana slices, nuts or any other toppings, if desired. Add oats into the Instant Pot followed by milk. Stir in the bananas. Secure the lid and close the vent. After the pressure releases, open the lid and give the oatmeal a good stir. Any extra liquid will absorb as it cools. Stir in the cinnamon and sweetener if desired. Divide into bowls and top each with more banana slices, nuts, milk and other toppings, if desired.